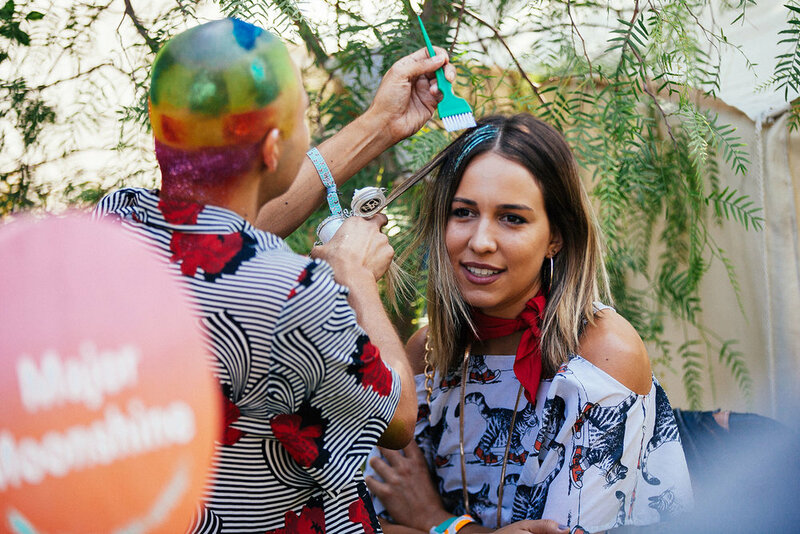 Spotify Artist Garden, FYF Fest, Los Angeles, Ca 2016. Photo by Steven Borja. A small slice of urban parkland was transformed overnight into a dense forest of native succulents and trees known as the Spotify Artist Garden. This magical hidden oasis at FYF - the largest music festival held in Los Angeles - became a hotspot where Artists could relax and unwind. 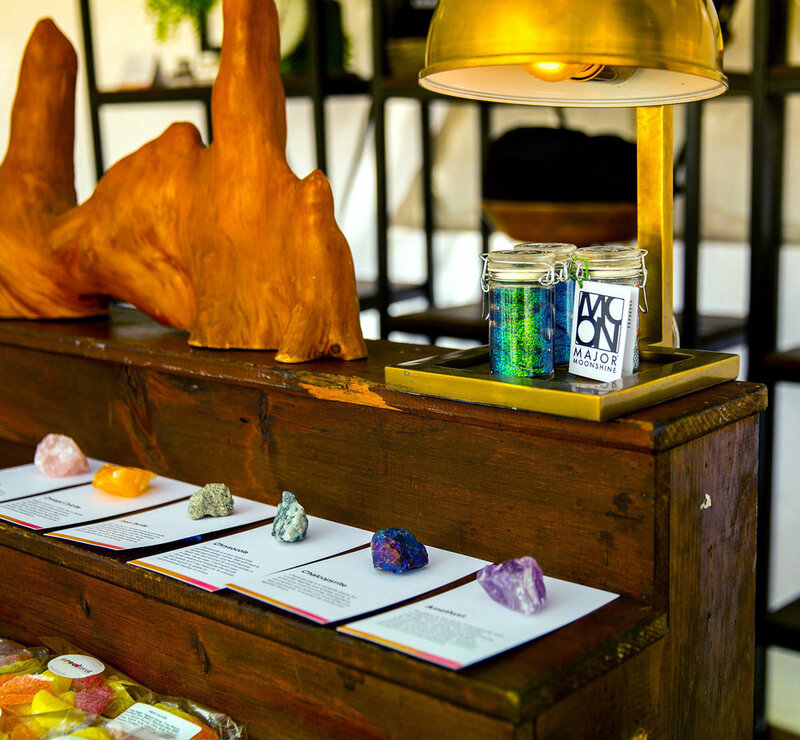 Amenities were plentiful: private massages and skin treatments, curated selections of Angeleno goodies were available in a small pop up gifting suite, stick and poke tattoos, or just simple lounging amidst the lush greenery. 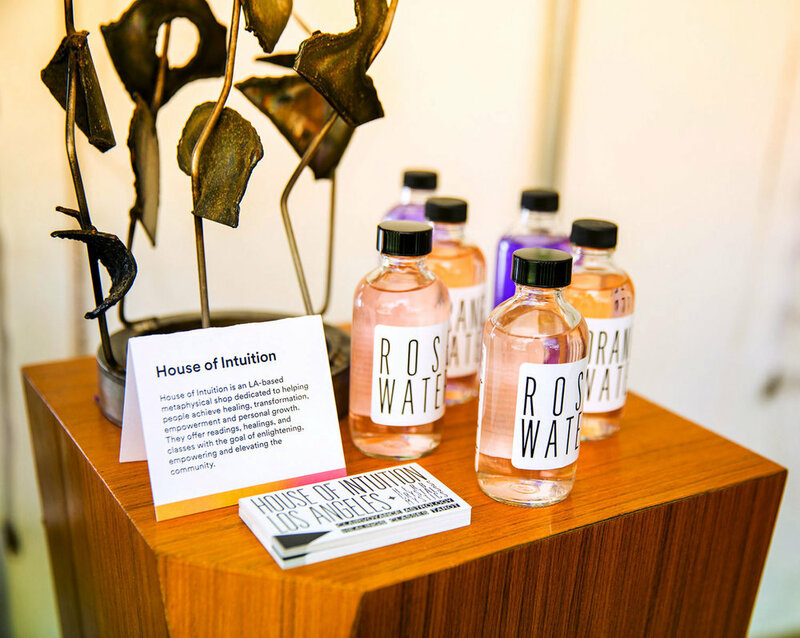 Food and beverages were plentiful - including vegan edibles and craft cocktails, as well as a build your own vegan ice cream sundae station. Arbors of hewn maple trunks created outdoor rooms, housing midcentury lounge furniture - perfect for intimate conversations and impromptu festival pow-wows. 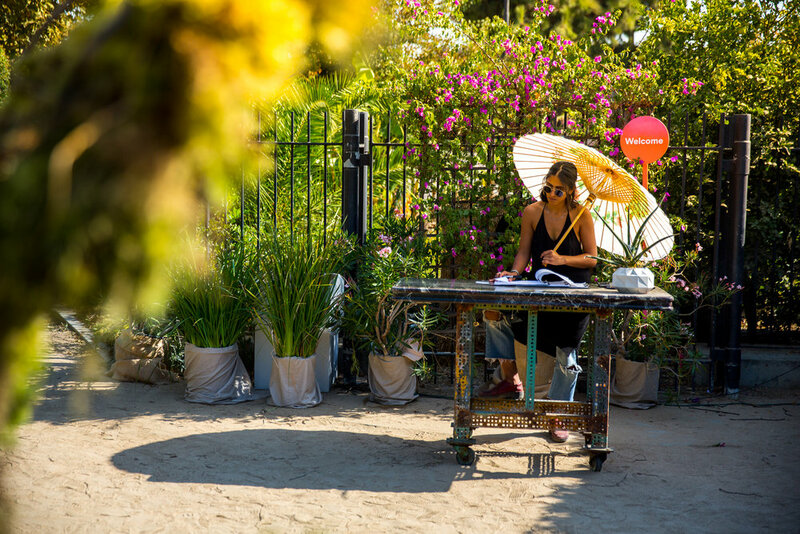 The garden became a place for artists to recharge, refuel, and unwind - a welcome addition to the festival ecosystem.